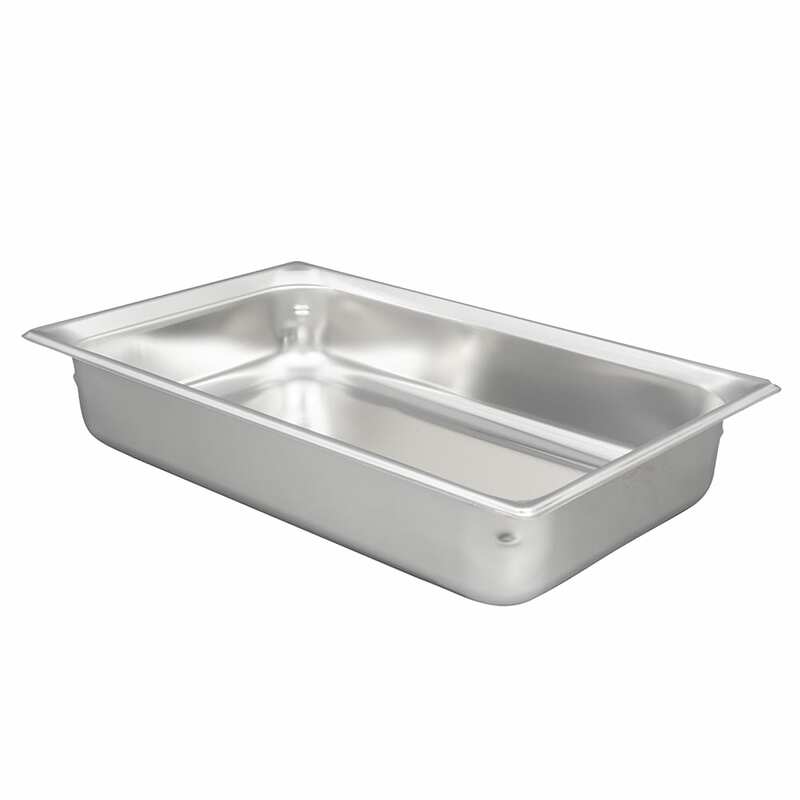 The Vollrath 90042 Super Pan 3® full-size steam pan has a 14.2-quart capacity and is made of durable stainless steel to resist rust. A sleek frame enhances product presentation, while flat edges hold steam around the product and create a comfortable grip when transporting the pan. The Vollrath 90042 steam pan is stackable, and the anti-jamming lugs prevent pans from sticking to each other. Spout corners prevent spills and simplify pouring liquids from pans.